We need to RISE ABOVE. Research to validate and strengthen the nurse anesthesia profession is a requirement. 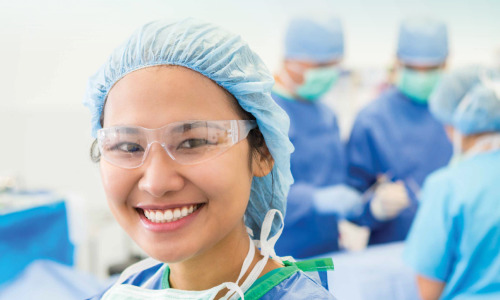 The AANA Foundation is embarking on the Campaign to RISE Above to fund additional research studies to advance the profession and patient safety. The campaign aims to surpass $1 million in funding for Health Services Research. This research will inform healthcare policy affecting patient care processes and patient/provider interactions. Ultimately, the research will educate the spectrum of health care stakeholders about the value and quality that CRNAs bring to their patients. Without this research, proving the value of CRNAs is difficult. We welcome you to join us as we RISE Above to further advance and protect your practice and your future. Find out about the campaign and how health services research makes a difference for your practice. Ready to RISE Above for Research in Safety and Effectiveness? You can become a contributor and help the CRNA Profession.